The political world is in an uproar today following Simon Bridges’ announcement the person behind the spending leak has been identified, but an insider claims the accused is innocent. 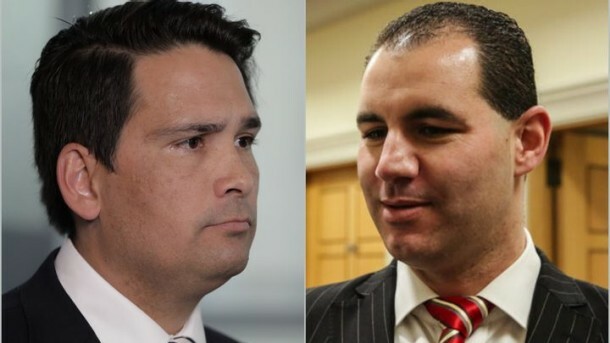 Following the conclusion of their internal investigation, National released a statement this afternoon at a press conference that their prime suspect is fellow MP Jami-Lee Ross. He has followed the initial tweet with claims that the reason he is being targeted is because he fell out with Bridges earlier in the year after challenging his leadership decisions. Ross also alleges Bridges had instructed him to use election donations in a way that would be deemed unlawful. 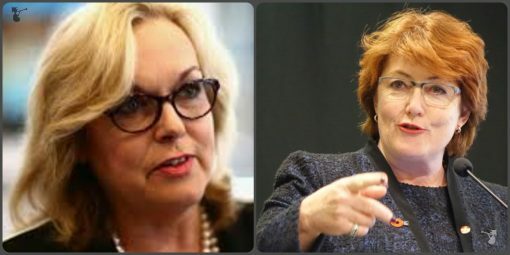 Other MPs have waded into the debate, with Judith “Crusher” Collins calling the tweets “appalling” and saying she would not put up with it if she were in Bridges’ position; while Maggie Barry slammed Ross as a “disloyal disgrace”. National MPs Judith Collins, left, and Maggie Barry, right. Following the day’s events it isn’t looking good for Ross’ career, but one person backs him. The Stuffed herald has been speaking with an insider who wishes to remain anonymous, and claims Bridges is “definitely framing” him. In an email using an assumed name, the insider stated that everything Ross said was the truth. The insider has their own theory on the identity of the true leaker. If our insider’s theory is accurate, it would seem the scheme didn’t entirely go to plan. Bridges has received little sympathy and support from the public throughout the scandal, with even the police and other politicians appearing apathetic and disinterested. He recently resorted to jumping on the fuel price hike issue, heavily criticising the Labour government and Jacinda Ardern’s initial claims that families could afford the inflated costs of petrol. Perhaps in response to the continued pressure from National, Ardern did an about-face last week and accused fuel companies of ‘fleecing’ New Zealanders. Our insider doesn’t think Bridges will be caught out in his lie, however. Meanwhile, Ross maintains that he will continue to speak out in his own defence. The Stuffed Herald has approached the National Party for comment.